Thanksgiving is a time to gather and what better way to bring together the history, stories and poetry surrounding the event than with this keepsake volume. Reacquaint yourself with how the first Thanksgiving came to be by reading excerpts from pilgrims William Bradford and Edward Winslow; read aloud the poems of gratitude by Walt Whitman and Robert Frost; delight in the simplicity of “An Old-Fashioned Thanksgiving,” a short story by Louisa May Alcott; and more. 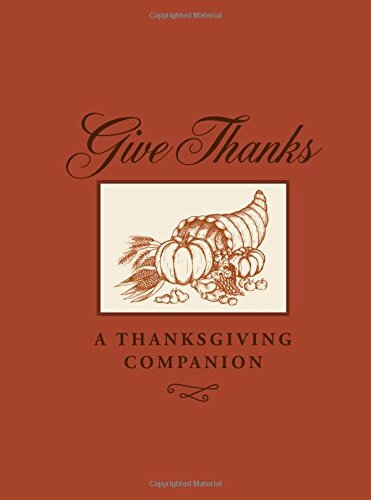 Meant to be an interactive book to celebrate the feast, take the opportunity to celebrate gratitude and the American spirit with family and friends on Thanksgiving day, and throughout the year with this one-of-a-kind, cloth-bound illustrated book. If you have any questions about this product by Gibbs Smith, contact us by completing and submitting the form below. If you are looking for a specif part number, please include it with your message.